I knew there were many visual parallels, but I didn’t catch just how many there were until I watched that video. The first time I saw Blade Runner 2049, I found myself continually comparing it to the first Blade Runner. I loved it but I could not think of it without thinking about the first film. The second time I saw it, I watched it for the details. It is an incredibly detailed film, and I found myself watching it for the all fine workmanship in the film (like the Japanese characters on the buttons of the jukebox that you barely see). The third time I saw it, I saw the film in itself. That was the odd thing. It took me three tries to see the film as a narrative about these mostly new characters. I saw the film the way I would normally see any film that’s new. The other odd thing was that the film seemed to move faster the third time around than the first time. I thought it was slow the first time around and it was compared to the original film. But without that context and having absorbed all the details, I found the storytelling tight and essential. I plan to see it many times. I think it is a masterpiece and every viewing yields something I missed in previous viewings. You may not want to watch it several times but I recommend you watch it more than once. You will be rewarded the second (or third) time you see it. The original Blade Runner is a film about the past, present and future. The future part is obvious: replicants, flying cars, off world colonies. It also remains fixed in the present of its time, the early 1980s, with the film’s characters wearing neck ties, reading newspapers, smoking indoors, talking on payphones, watching small screen TVs, and dressing like punk rockers. The past part may not seem so obvious, but it is essential to understanding the film. The past of Blade Runner is film noir of the mid 20th century. Not just in the way it looks, though the look of film noir is spread throughout the film: the clothes Rachel wears, the office that Bryant works in, the style of clothes and music in Taffy Lewis’s club, the constant smoking, the hats of Gaff, the trench coat of Batty. It is noir in its morality and outlook. The world is a bleak place, the characters are not who they appear to be, and the morality of everyone is compromised and complicated. I thought about this again when I read this piece, There’s Something About “Blade Runner” | Balder and Dash | Roger Ebert, as well as reading comments about Blade Runner 2049. In this piece, the author tries to establish who the good guys are and who the bad guys are. Assigning who the good and bad people are in film noir is pointless. No one is entirely good, and more often than not, everyone is some degree of bad. Film noir characters have to make difficult choices in a bleak environment where there may be no happy outcomes. Likewise, some people are critical of Blade Runner 2049 and the role of women in this future. The assumption should be that in the future there should be progress and women should have better roles. But the future of Blade Runner is not one of progress. It is a future where despite technological advances there is no progress. It may not be the future you want, any more than the worlds of film noir are not ones you want to inhabit. It is the future the filmmakers want to explore, and get you to think about. More on film noir here and here. 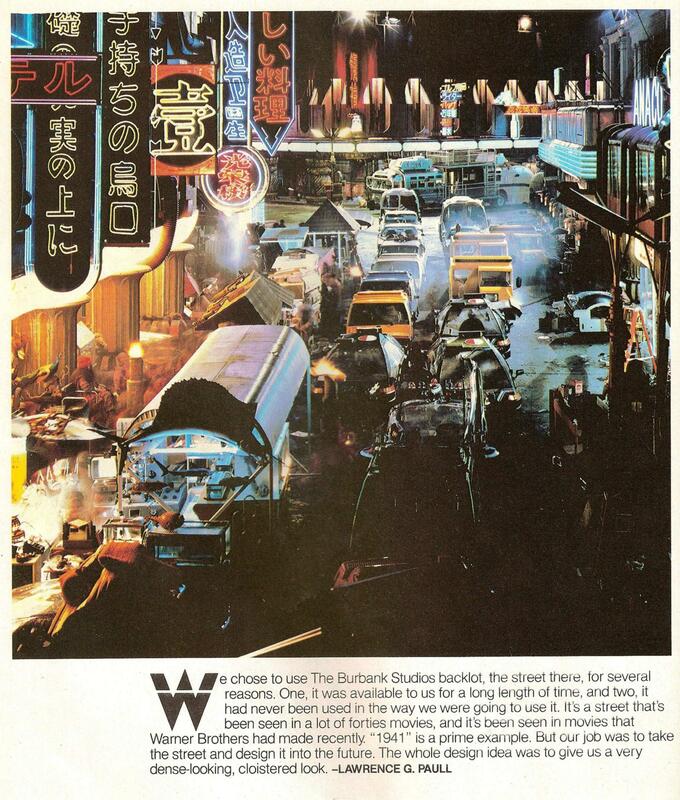 A great example of what Blade Runner might look like cast as just a film noir film is in that clip above. While Blade Runner is gorgeous in colour, I’d love to see a black and white (sepia and white?) version of it too. Here are three smart pieces on the latest Blade Runner film. I’ll touch on the last one separately. Inside the kaleidoscope mirrored heart of Blade Runner 2049. Each of the first three pieces delve into themes and ideas and layers of the film, and among other things, what I took away from them is that the sequel to Blade Runner is going to be studied and discussed for as long as the original film was. I highly recommend these pieces. The not so smart analysis comes from Vox. It makes the same mistake that others make, namely, in criticizing the film for being too slow and unlike the original Blade Runner. That is ironic, because Blade Runner 2049 seems to be intent on not making the same mistake as the original Blade Runner of shortening and dumbing down the film to make it more appealing. It took three tries until Ridley Scott could release the Blade Runner he wanted (the Final Cut version). If you have seen the film, read the first three pieces (or any one of them) and then read the Vox piece, and you can see how they miss out on the richness and depth of the film. I have seen Blade Runner 2049 twice now, and I understand the difficulty people might have with it. It is long. It doesn’t strive to entertain. It swerves away from the film noir genre that Scott stuck to. For all of his artistry, Scott is a traditional storyteller and filmmaker. He makes Hollywood films. Villeneuve strikes me more of an art film maker. He still works within the Hollywood system, but he is striving for something more. That something more is captured here in Blade Runner 2049. Other echoes are the scene where K is walking with someone past suspended bodies. It looks like Deckard entering the Tyrell Corporation in the first film. Speaking of that scene, the suspended body that resembles Dave Bautista has a label of Nexus 08 prototype 01! So clearly the replicants have gotten better. The question is: how much better, and in which ways? Speaking of locations, where is Deckard living? It looks deserted, which makes me think it is on Earth. Also, there are Korean symbols on the building he is in. The sequencing of that scene where K meets Deckard is interesting. It looks like K mets Deckard, who tries to escape to his car, which get blown up. In other scenes he is fleeing with his dog when K bursts through a wall and saves him. After which it seems like K asks him questions. There are two scenes with insects: there are slugs at Bautista’s place and a fly at Deckard’s that lands on K’s hand. Are they real, or replicants too? The fly could be a drone that would tell Deckard someone is coming. There is a walled off city at the beginning of the clip. I wonder if that is breached somehow. It makes me think that that is what happens later when the water is flooding. Lots to think about and get excited about too! Looking forward to more trailers soon! In the meantime, what follows is a collection of the previous trailers. Enjoy! P.S. Oh, I missed this featurette before. Need to add it, too!